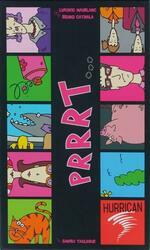 A pure bluff game on an offbeat and fun theme. Shamelessly denying the obvious or knowing how to denounce yourself at the right time is the key to success! Contents of the box : 110 cards, the rules of the game.